Please work your way through the form in its' entirety to get the most benefit from it. Have a look at the latest bill from your current gas supplier. Depending upon where you live, which provider you are with and what plan you are on, you may have several different rates for different times of the year and/or consumption levels. Get this information from your manufacturer's website or brochure. Here are the costs in cents per hour to operate your ducted gas heater at its' rated capacity (100%). 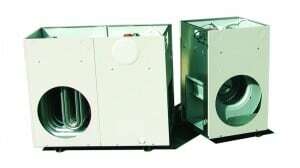 However, ducted gas heaters rarely run at 100%. To try to get a realistic idea of a gas heaters' running costs we should calculate two other variables; those when the gas heater runs at 70% and at 40%. Why? Because the heater will cycle on and off when it reaches set point (temperature) and 70% and 40% are fair reflections of likely running times. So, here's two more calculations showing the 70% and 40% costs. Finally, if you want to know your ducted gas heater running cost during the course of a whole day, you'll need to know how many hours you intend to run it and at what capacity and what tariff. So, fill in the boxes below as much as you need to and then you'll see the total daily cost. Enter your email address to get your completed details sent to you in HTML format. Our server does not keep the email addresses so we won't spam you. I’ll assume you’re on mains natural gas here because LPG in bottles is horrifically expensive. You’re metered in, and pay by, Mega Joules (MJ). Have a look at the specifications of your system. Help yourself! Don’t set silly temperatures because you’ll really pay for it if you want 30C inside your house when it’s -5C outside. Get the very best insulation in your ceiling, walls and floor that you can. Double glazing is amazingly effective at keeping the heat in. Also be sure to check out our page on air conditioner running costs. Dad works full time and Mum looks after the house and the kids. It’s term time so the kids are at school 8.30am to 4pm. They have a 23.7kW system from Lennox, a G61MPVT-60C-090, with 8 floor outlets throughout the home. They have reasonably good roof and wall insulation. So, it’s going to be a really cold night and Mum turns the ducted gas heater on at 3.30pm; she sets set point at 20C and makes sure all external doors and windows are closed. Sorry about this bit, but… Although Peninsula Air Conditioning Pty Ltd believe all the facts, figures and calculations are correct it will not accept any liability for your use of, or reliability upon, any information presented above. If your circumstances warrant it we suggest you employ the services of a suitably qualified Mechanical Engineer.